Apr 9, 2019 – MobyMax, the 2018 EdTech Award Winner for Best E-Learning Blended or Flipped Solution, has been nominated in 10 additional categories for the 2019 EdTech Awards. 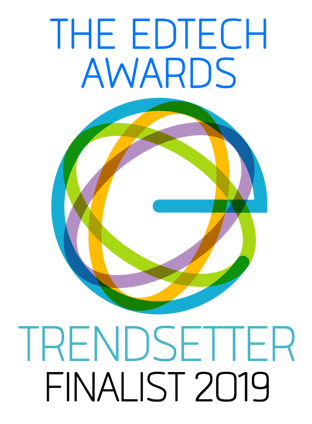 “We’re thrilled to see our edtech solutions recognized by the largest and most competitive awards program in the industry,” said MobyMax co-founder Glynn Willett, who himself was nominated in the “visionary” category for his groundbreaking leadership in the edtech field. MobyMax co-founder Wade Willett, who was nominated in the “national U.S. leader” category, credited the Moby Suite solution, which includes 27 subjects covering all grades between kindergarten and eighth grade, as a key to the company’s success. This is the first year that the co-founders have been nominated as edtech leaders. 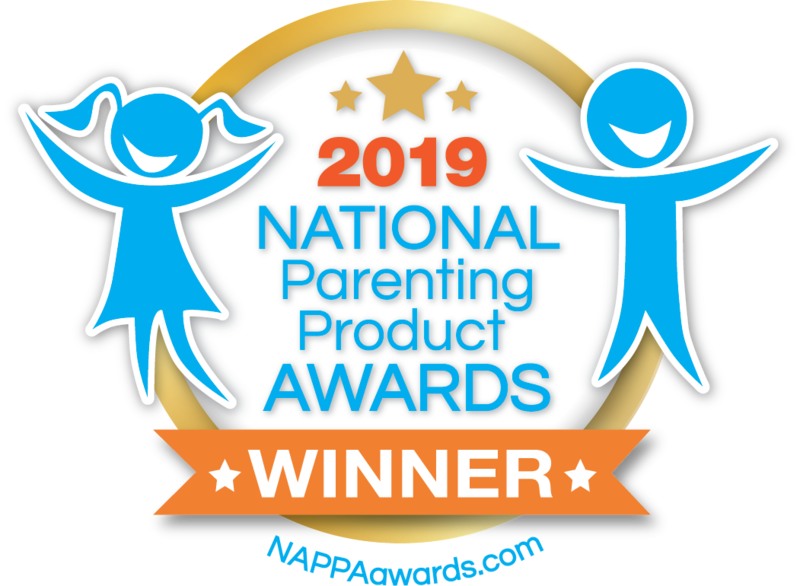 Mar 21, 2019 – MobyMax, the most widely adopted edtech platform in the U.S., has won two coveted 2019 National Parenting Product Awards (NAPPA): Best Educational Tools and for Best Resources for Learning Differences. In the Best Educational Tools category, Moby Suite was honored for its effectiveness in helping struggling learners quickly and catch up to grade level, benefits acknowledged by Caitlin Corlett, a 7th grade special education teacher at Lowell School in Whitestone, NY. 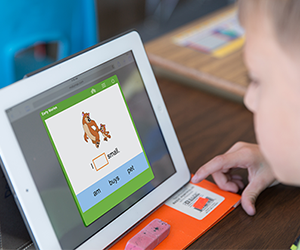 “Moby’s 1:1 technology gives us the ability to differentiate for individual students in a way that benefits all,” she reports. A personalized learning tool has helped Eldon Middle School see a dramatic decrease in the number of failing grades in 10 years. Mustang Hour, a 40-minute program students attend four days a week during fourth period, has been the reason things are turning around, Principal Shaun Fischer said. "Last spring, a group of teachers and myself met pretty much weekly to develop the plan that we're using this year, and it has turned out to be the most effective intervention system we've used," Fischer said. For the past nine years he's been with the Eldon R-1 School District, he said, the middle school has been trying different ways to help struggling students. At the district's Jan. 22 school board meeting, Fischer explained the Mustang Hour program and the ways it's helped students so far. MobyMax’s innovative development platform, comprehensive learning management solutions, and complete curriculum system (CCS) have propelled the company to a record 49 award wins in 2018. The company has won 59 total awards since January 2017, dwarfing its nearest competitors in the education industry. MobyMax (Pittsburgh) provides K-8 curriculum in 27 subject areas and targets identifying and addressing learning gaps and providing an integrated view of data. Co-founder and Co-CEO Glynn Willet told EER that MobyMax provides the depth of resources and range of subjects of core curriculum, although it may be used as a supplement in schools that have basal texts. The program reaches 83% of K-8 schools and more than 22 million students. What differentiates Moby, according to Willett is the complete coverage of all K-8 subjects on one unified platform, affordability and ease of use. Competitors include Edgenuity (Scottsdale, AZ), Renaissance (Wisconsin Rapids, WI), Study Island from Edmentum (Bloomington, MN), and Voyager from Cambium Learning (Dallas). Nov 16, 2018 – MobyMax, the most widely adopted edtech platform in the U.S., was named a finalist in the Tech & Learning Awards of Excellence. MobyMax is one of only ten companies in the world selected as a finalist in the Best Use of Edtech in Schools category. “To win a Tech & Learning (T&L) Award of Excellence isn't just a badge of participation. It is an endorsement that your product or service meets the standards of the most innovative edtech educators working in classrooms today,” said Kevin Hogan, Managing Director of Content for T&L. “In this year’s contest, nominated products were judged on two key factors: their uniqueness in the classroom, school, or district, and whether or not the nominated product solved specific problems,” Hogan said. Nov 9, 2018 – MobyMax, the most widely adopted edtech platform in the U.S., has won a gold medal in THE Journal Readers’ Choice Awards competition for Favorite Learning Management System, Course Management System, or E-Learning Platform category. The gold medal win adds to the silver and platinum awards MobyMax garnered in 2017 in the Favorite Interventions & Remediation Software category and Favorite Adaptive/Personalized Learning Tool category. The MobyMax Language Arts system finds and fixes missing essential language and grammar skills. Its comprehensive curriculum encompasses 16 ELA subjects, including reading, language, vocabulary, grammar, spelling, alphabet, phonics, and early reading. Independent research analysis of 4,000 students using MobyMax in 230 U.S. classrooms showed students gained one grade level after using MobyMax Language for only 30 minutes per week. The Early Reading Website Award acknowledges the comprehensive suite of tools MobyMax has created for students and teachers online. The MobyMax early reading solution includes modules for early words, early stories, and early writing, as well as alphabet letters and sounds, phonics and spelling, Dolch and Fry sight words, and foundational reading. 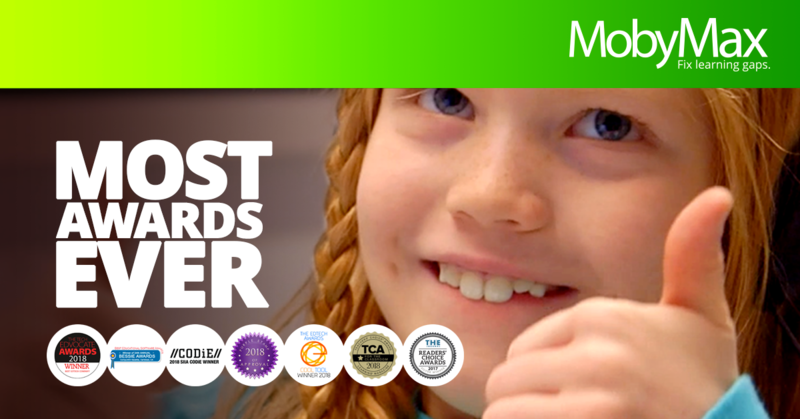 Oct 10, 2018 - MobyMax, the most widely adopted differentiated learning solution in the U.S., has received a record 14 EDDIE Educational Software Awards from ComputED Gazette. MobyMax is the first and only unified edtech platform encompassing all curriculum subjects (the equivalent of 156 textbooks) and all assessment types (diagnostic, formative, benchmark/interim, and summative), plus interactive classroom and motivation solutions. The awards were announced on the heels of the release of a large-scale research study of 4,000 students in 230 U.S. classrooms, which showed that students who spent just 20 hours using MobyMax increased a full grade level more than students in the same classroom who did not use MobyMax.